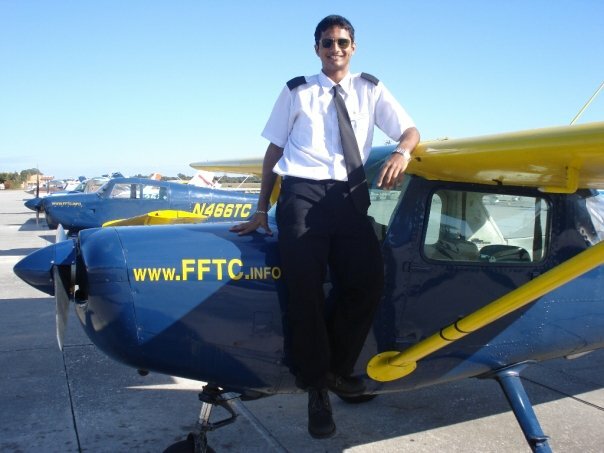 23 years old, living in Mumbai, India, has been looking for a job as an airline pilot for 3 years. He contacted me in his search. I asked him to write and share his story. Please take a moment to read what Kirsten wrote, and then lets give him some help to find that job. 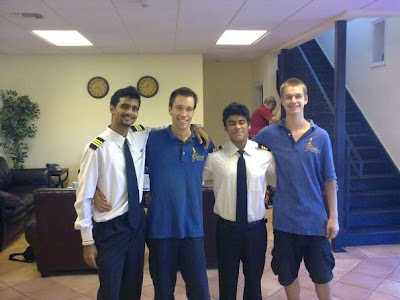 After completing my 12th grade in 2007, I moved to Pune, India to pursue my ground school. I then flew to Florida, USA, which was my first time living alone in a new country. This was to earn my Commercial Pilot License with a multi and single engine instrument rating, which I accomplished while finishing first in my batch. I was a fully qualified pilot at 18. In November 2009, I completed the conversion of my FAA license to an Indian CPL so that I would be eligible to apply for a job in India. That's when the recession hit, airlines suffered and recruitment stopped. 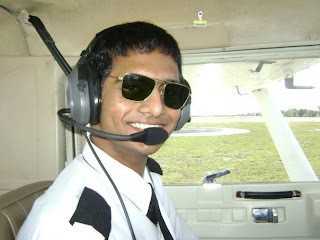 I decided to do something productive while waiting for a job and pursued a degree in Aviation (Bachelor of Science) through the University of Mumbai. I graduated this year with a first class. However since there was still nothing on the horizon, I started appearing for the Indian ATPL papers. I have cleared two and have one final paper left after which I will have a frozen ATPL as well. I now stand at a cross road with 270 odd hours of flying, a frozen ATPL, Bachelor of Science in Aviation and still unemployed. I cannot apply for a job abroad without a work permit, which cannot be obtained without a job offer. Airlines refuse to hire me as cabin crew. Airlines in India hire expat pilots rather than Indian nationals, as they have more experience. As you know a basic CPL training alone is a huge investment. My dad is a government employee, who has sponsored my CPL training and is setting money aside for a type rating; something an airline initially pays for, subject to signing a bond. Since the recession, pilots are expected to pay for the type rating, without a letter of employment. My dad has 2 years left to retire and my license expires in 2014. I am now faced with a tough decision, hang on to a dream I've worked towards for 5 years or move on to something else? I have applied to every Indian airline, some don't even reply, others have automated replies "Thank you for your application, we shall consider you for our next selection process." Renewing our licenses and our medicals year after year is expensive. I haven't flown since 2009 and I long to again. I am a fully qualified pilot, eager to work, all I need, is to be given an opportunity to take off. 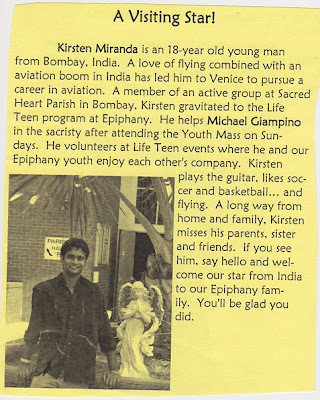 Kirsten Joseph Miranda. Airlines will not hire a non-current pilot unless they are desperate and there is nobody current remaining to fly—Especially a non-current pilot with 270 hours. Dedicated pilots don’t quit flying. There is a reason that Airlines need to hire expats. Kirsten, do not get discouraged. You can fix this. But while you have the minimum qualifications, and a degree—which was a good move—you have not been flying. Why not? What if you had flown one hour per week—shared hours with someone, earned your instructors license, instructed… etc. You would have doubled your flight time with just one hour a week. The only thing holding you back is that you are not using those licenses you hold. From an employer’s perspective, you gave up. Rules change. Regulations change. Without flying, you are not staying proficient. Sitting back and waiting for the job to come to you, it won’t happen. In the United States our pilots need 1500 hours to qualify for an airline. Kirsten, you have a long career ahead of you—if you want it. At 23-years-old, you have 42 years to fly. You need to invest time and money to build those hours. I just cannot see any airline selecting anyone who is not actively flying, unless they have been furloughed from a flying job, and have many hours. Times have changed, and you might have to get creative to build those hours. Here are a few ideas for Building Flight Hours. This might not be what you want to hear, but this is what you need to hear. If you want to be a pilot, you have to get flying, and keep flying, and do whatever it takes to maintain currency and build those hours so you will be qualified for an airline job. That is the only way. I believe that you can do it. But nobody said that this incredible, highly responsible and rewarding job was going to be easy. It’s not. You need to be an experienced current flying pilot before you get that job. Remember: There are TWO EASY STEPS to ASSURE SUCCESS. Does anyone have advice for Kirsten? I know he would love to hear from you. Do not give up. But get up in that sky. I wrote an article on how to get a pilot job in Europe ( http://golfcharlie232.blogspot.fr/2011/09/getting-pilot-job-in-europe.html ) but it is not much different anywhere else. As I have been involved in pilot recruitment for a small company, and even though the working conditions and salary were very low, I can definitely say there were a lot of applicants with excellent CV's. People were keeping current, actively flying either as flight instructors or on their spare time, some were working on the ramp, others were flight attendants or aerospace engineers and almost none were no longer involved in the aviation industry. Of course we picked up the most experienced who showed the greatest dedication and motivation. All the 200 hrs CV's were thrown away at the first sight, we didn't have time to read them while others had 2000 + hours logged already. I would add that Kirsten needs to create opportunities to make things happen. Sometimes, recruitments will not just be the usual online application with some selection process a few weeks later. In fact, some smaller companies do not publish anything online and you most likely have to know someone within this company to get interviewed. Now, a lot of people find this unfair but it all depends on want you can do. And that's the point, there's something you can do, if you travel a lot, struggle to get your hours up, keep current and work in this industry (whether this is on the ground or up in the air doesn't matter), you will eventually come across the "right people", and one day it will also happen to be "at the right time". But of course, you need an amazing dedication to achieve this, nobody said it was easy. If you give up (from the moment you stop flying, that's "giving up") then it won't happen. As you said, there are much more qualified people than you. You need to stand out from the crowd, that's the key. Golfcharlie232, Boeing 737 F/O, ex Kingair pilot, ex tow pilot, and struggled for years until this happened. Golfcharlie232, Thank you so much for the excellent comment, and such a wealth of information. Just being out there you create opportunities. Nothing will ever drop at your doorstep. And even if it did, you still have to go look on your porch. And it's true... the moment you stop flying you have given up. Karlene, while I was reading his story, I was thinking on the same advices you told him. Honestly, I can only think about these one and a little more. 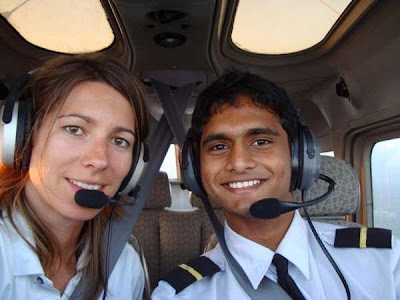 He could become a Flight Instructor and use loans to pay his flight hours. Also, maybe he could find a little job to pay his hours. There's always a way out but it's not easy at all. "Most times we have to choose what is right or what is easy." If he build hours, the companies we trust him and safety can be learned throughout his experience. Kirsten, it's an adventure and it is a great adventure. You just need to pass through many obstacles and that's why it's an adventure! Great example, great post Karlene. Alex, Thank you for the great comment. Yes... either choose easy, or right. Right is definitely not the easy way. And flight instructing is a great way to build hours. But he must get in the air and fly. Karlene, I agree with your idea to use the licenses he already has to gain as many hours a possible. When the time arrives, it should be in a timely manner, the airlines will really want to hire him. I am planning on the CFI gig after the PPL so that I can help fund the ATPL eventually. CFI is quite fitting as I am a teacher to begin with. Kirsten - one of the lessons I have learned in life situations where I am trying to obtain a goal such as this is to be extremely focused and persistent. I had an event in my life where it took me over 8 years to achieve the desired outcome. It took me 8 and not 20 because I was just that: persistent and focused. I have full faith that things will work out for you. Please keep us posted! Jeremy, Thank you so much for your advice. Focused and Persistent are two of the best words to achieving your dreams. We think that attaining our licenses will get us there. But we need more than that. We need the drive. The not sitting back and waiting. I have faith too. Kirsten, I hope you do keep us posted. Apply for the F-1 visa at a SEVIS-approved school (list of these institutions are found online - it is VERY important that it is SEVIS-approved, otherwise the school won't be able to issue you a visa, no matter what they keep telling(lying to) you. CFI-CFII-MEI will get you tons of real world experience, instrument flight time and multi time which is crucial when applying for a job. Cecilie, this is great advice! I had no idea about the SEVIS-approved schools. You are so right about teaching instrument and multi being crucial. You learn so much. Thank you so much everyone for the great advice, I learned a lot reading this whole post. Also I had no idea about SEVIS-approved schools. I shall look into that immediately. As to why I have not been flying after I got my licenses, I applied for the degree in 2009. There aren't any flying schools in the city I live in, which means I would have to go to another city to get some flying hours. Which wasn't possible as I was enrolled at a degree course which required attendance in my city. The only time we are exempt from attendance, is if we are flying with an airline. Doing an hour every week and sharing it with a friend, makes sense too, as of now, you'll are right, acquiring a flight instructor license is the best course of action. Thank you all for taking the time to read and reply. Not many people have the time to give advice to an underdog. Since smaller airlines and charter services do not advertise, if any of you'll hear about them recruiting, please keep me in mind. Kirsten, on behalf of everyone, you are so welcome!It might mean moving to a different city. I know a young lady who was furloughed from her job and it took her 13 months to get another. But she spent every penny in the process, and moved to four different cities. When the darkest hour came, the light turned on and she was hired again. This can be you. Never give up!!! I cashed in on what little I had in my retirement investment and this allowed me to get myself back on my feet. I did some research and found a city that had a extraordinary amount of charter companies and flight schools, and moved there. It was a five hour flight from my family and no where near anyone I knew, but it didn't matter because I just wanted to keep flying. I found a flying club because no flight schools were hiring, and got checked out to teach in their aircraft, if I could find my own students. I created my own business cards. I got the word out that I was looking for students. I joined non-profit organizations to network and get involved in the local aviation community. I volunteered because this was the only way I could continue to build my resume until I found a job. I spent all my time at the airport hoping to meet someone who wanted to learn to fly. I made “learn to fly” posters and hung them at universities around town. I made appointments at every charter department and FBO I could find and turned in my resume and let them know I was looking for work and willing to work hard. I was denied every time, but I kept trying. I joined internet sites that had flying job postings, and looked every day. I sold my car and bought a very old cheap car so I could pay rent. I kept my resume current and studied while at the airport. Other instructors told me being at the airport was the best way to find students, so thats what I did. I had a couple of students, but the competition was fierce. This went on for 13 months. There was a charter company in a different state that posted a job opening on one of those websites I screened everyday. This state was another couple hour flight away, also a place I didn't know anyone and had never even been to, but it didn't matter to me. It was a job. I applied for it and began looking into the company. I realized I had met someone who worked there a year prior at an aviation convention. I was able to get in contact with her, and she recommended me for the job. I got the position two weeks later. After flying for this charter company for just over a year, I received a letter notifying me I was being recalled to my airline job. I'm getting ready to upgrade soon and I couldn't be happier with the decisions I made to keep pursuing flying. I LOVE my job! There were two things I learned during my 2.5 year furlough. One, is you must be ready to accept an opportunity if it should arise. This means if a job is suddenly available, you need to be sure you're current and qualified for the job before it's available. The second, is that sometimes you need to remind myself what you're working for. If I stopped trying, I would have given up everything I worked for. And, more importantly, I would be giving up my dream. Try to keep your focus and motivation by reminding yourself how much you love flying and how hard you've worked to get where you are already. You can achieve anything you set you mind to if you're willing to work for it. When you do reach your dreams, you will be even more grateful and humble because you will have put your heart into this journey and worked hard for your success. I sincerely hope this gives you some encouragement and you continue to strive for whatever it is you dream of achieving. This gives 'me' encouragement! Thank you so much for sharing your story, and the effort it took to get where you are. It's not easy. Nor was taking the time to write this. Tonight I reflected on my career. 8 airlines. And between each job that meant pounding on doors, borrowing money for a type-rating, educating myself, and making sure (like you said) I was ready when the opportunity came along. At any point I could have sat back quietly and waited, just like you. But the need and desire is too strong to full fill those dreams. You deserve all the success that "will" come your way. Thank you so much for the comment! That was truly inspirational, thank you for taking the time to reply. "You can achieve anything you set you mind to if you're willing to work for it. When you do reach your dreams, you will be even more grateful and humble because you will have put your heart into this journey and worked hard for your success." Kirsten, Those are fabulous words. Thank you for your comment. Keep your heart and mind toward the sky. We're all here when you have those hitting the storm moments. Book Party In New York City!